Earlier this year, a motorist driving near Picayune Strand State Forest, in southwestern Florida, spotted a dead panther on the side of the road. Although the entire population of Florida panthers numbers fewer than a hundred and eighty, this was not a particularly unusual sight. In 2014 alone, twenty-two panthers were killed by automobiles. This animal, it turned out, had not been hit by a car. When wildlife officials conducted a necropsy, they found that it had died from a gunshot wound. It was the second such attack in six months. The previous October, a different driver on the same road had spotted a two-year-old male panther behaving strangely. When the animal was captured, officials discovered that he had been blinded by buckshot. Because Florida panthers are endangered, intentionally killing one is a federal offense, punishable by up to a year in jail and a hundred-thousand-dollar fine. Nevertheless, at least five panthers have died this way since 2008. In the couple of cases that the U.S. Fish and Wildlife Service has solved, the perpetrators were hunters—people who didn’t like the cats competing for the same prey. Florida has a panther problem. 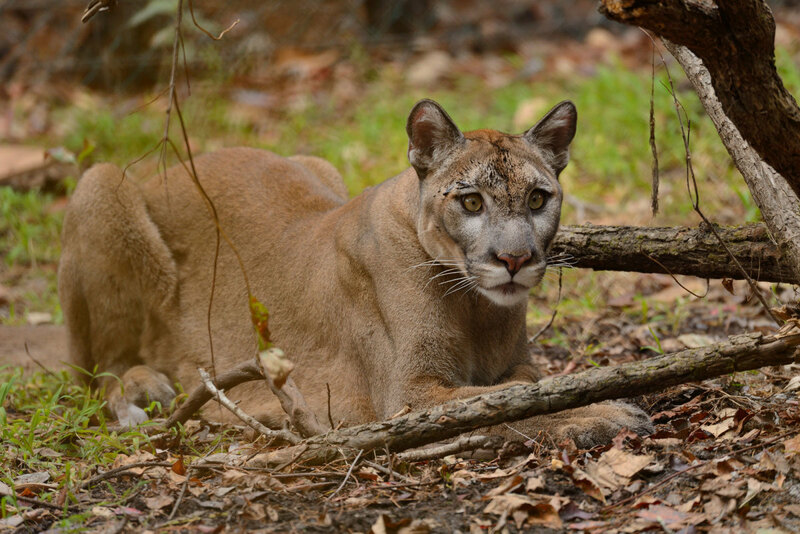 In the early nineteen-seventies, the whole population of these animals—also known as mountain lions, pumas, and cougars—consisted of about thirty individuals, the weak and inbred remnant of a subspecies that once roamed from Tennessee to Louisiana, South Carolina to Georgia. Since then, federal and state officials have spent millions of dollars on protection and management, even launching a so-called genetic-restoration operation, in the nineteen-nineties, in which eight cats from Texas—an area that once had gene flow with Florida, before human settlement cut it off—were introduced to offset inbreeding. In 1982, Florida’s schoolchildren voted to make it the state’s official mammal.